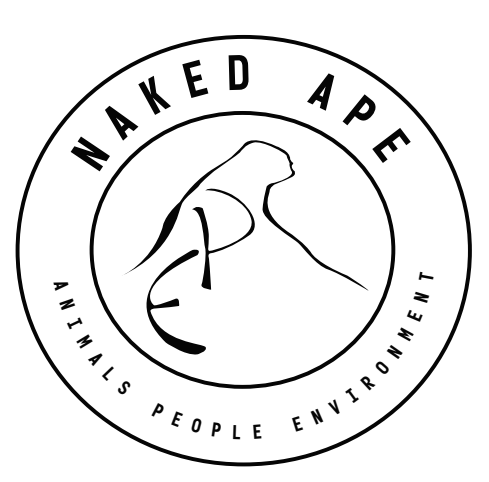 Naked Ape was pleased to feature AARCS from January to April of 2018. A portion of our sales has been donated to them. We have also dedicated our BE LOVED: Pink Rhodonite and Paw Charm bracelet to them - a portion of the proceeds from this bracelet will always be donated back to AARCS. Alberta Animal Rescue Crew Society (AARCS) is headquartered in Calgary, Alberta. We are a federally registered charity and incorporated as a society in the province of Alberta. In Alberta, thousands of cats and dogs are homeless, abandoned, abused or living in horrendous conditions. Although we may not see them on the streets of our cities and towns, it is estimated that well over 25,000 small animals are rescued or surrendered in Alberta alone. AARCS was founded in 2006 and is comprised of a network of individuals and families concerned about the welfare of abandoned, abused and surrendered animals in the province of Alberta. Our volunteers range in age from young children to seniors and all are animal lovers who are looking to make a difference. AARCS initially started with our Rescue, Rehabilitate & Re-home Program. This program entails rescuing animals and placing them in the safety of our foster home network while awaiting suitable placement in permanent adoptive homes. These animals are provided with all the necessary veterinary care, as well as food, rehabilitation, training, kindness and support. We have further expanded operations to include additional programs, including Spay/Neuter & Disease Prevention Initiative, Emergency Medical Care Program, Emergency Shelter Care Program, Humane Education Program, Dog House Program and Pet Food Program. In 2012 AARCS opened our first shelter in NE Calgary, which is designed to provide temporary housing, emergency shelter and quarantine for animals. It also provides us with office and meeting space, as well as storage. Animal homelessness and cruelty against animals impacts not just the animals, but people too. The formidable quest to end animal suffering is compounded by the sheer number of animals in our communities. AARCS firmly believes that improving the lives of animals, educating the public about animal care and promoting spay and neutering leads to a happier and healthier society. The communities where AARCS focuses its efforts generally have very limited animal services. We collaborate with communities to regain control of their animal population. These initiatives including facilitation of free pet food, free spay/neuters and education programs. As a member of the Canadian Federation of Humane Societies and World Society for the Protection of Animals, AARCS strives to promote animal welfare and together we are committed to prevent the suffering and cruelty to animals and instill empathy, compassion and appreciation for all living things. Our volunteers are out and about in the community on a regular basis, whether it is assisting at spay and neuter clinics, rescuing animals, hosting adopt-a-thons to showcase our adoptable animals, funding raising to support our programs or visiting with the public at the local festivals. If you would like to assist with AARCS mission of Changing Lives Through Kindness, please visit www.aarcs.ca to learn more or to donate.